One Skyrim explorer found, near Riften (bottom right of the world map), a path that led to a stone archway and an invisible wall. With some creativity, the explorer passed through this geographical boundary and into the neighbouring region of Morrowind. There the explorer found a scaled down, low-resolution landscape, and models of Solstheim and Vvardfell. 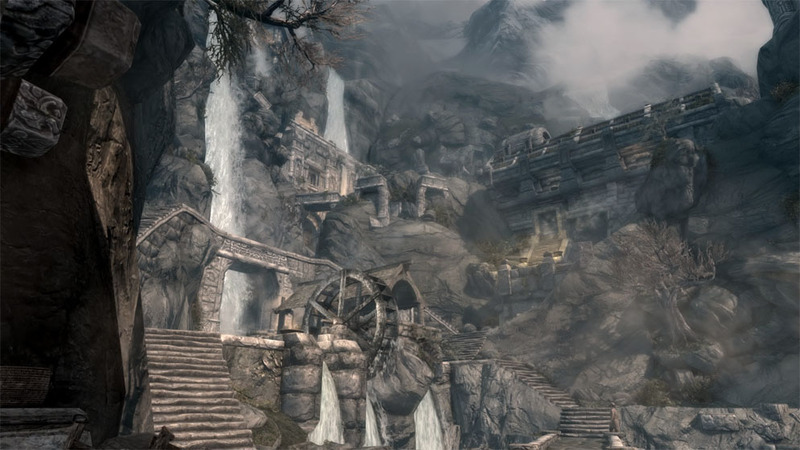 The explorer also caught sight of central region Cyrodiil, and the Imperial City. Cyrodiil borders Skyrim to the south. There are pictures, via OXM. Vvardfell was the island province that The Elder Scrolls 3: Morrowind story took place on. Solstheim was a large, cold, northern island added in expansion Bloodmoon. Cyrodiil and the Imperial City were part of The Elder Scrolls 4: Oblivion. DLC foundations? Maybe. Another explanation, however, is that Bethesda included these regions to fill out the 3D Skyrim world map - offering players a zoomed out, top-down glimpse at what lies yonder. Bethesda hasn't announced any Skyrim downloadable content. When it does arrive, however, it'll be exclusive to Xbox 360 for 30 days.